I have been wanting to get a website up and going for a year or so and here we finally are! Many thanks to Julie Bannister here in Falmouth for being so patient….if anyone needs a great web planner please get her name from me. My goal is to pick interesting objects, colors or ideas about decorating every day or two and pass them on to you. It may be something random but I promise to try to always be interesting! This is what I want to talk about first. The yellow stool.When we bought our summer house the people we bought from were about to throw this out. What a treasure! Interesting finds can make all the difference…so my advice today: poke around in antique stores,go in your attic or basement but find things that are interesting and different and that most importantly, you like-things like this make a house a home. This entry was posted in kitchens, reupholstery, summer/beach houses and tagged Concord, Falmouth, Home, Home Improvement, Interior Decor, Interior Design, Summer house. Bookmark the permalink. Through the years, I have continued to be impressed by your sense of color and your simple but elegant style. I am subscribing to your blog today. Who needs houzz when I have you. You are amazing, my dear! Can’t wait to see your posts!! LOVE it! 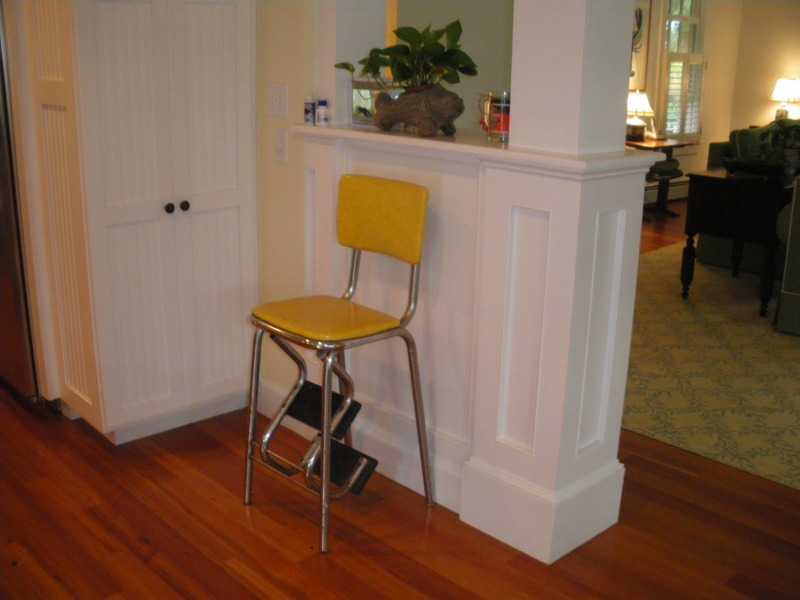 Also, I think my Grandpa had one of those stools and honestly, I always thought they were so cool and sort of useful! Can’t wait to read your blog for inspiration! I just subscribed to your blog. Looking forward to reading it. I am subscribing to your blog… will be great to read your awesome ideas! We had a red stool like that when I was growing up, at our cottage! Chic, with a sense of humor, and reuse/recycle green sensibility. What more could we ask? !